In RR Group, we are keen to offer short term internship opportunities to students/trainees/Practitioners willing to make a training-on-the-job experience in our office activities. To apply, go to the section “CANDIDATE NOW”, put the “JOB AREA” and the reference “TRAINEE”. A curriculum of studies consistent with the selected job area, and the ability to speak more than one between English, Italian and Portoguese tongues, will be considered as a plus in the screening. Please do not forget to upload, together with your CV, a presentation letter to tell us about your training expectations. Actually, we cooperate with these Schools/Universities for internships. Contacts with the Department of Economics for interventions and bisiness testimonies conducted in 2012 in the field of business organization and processes of human resource management. Internships carried out in 2013 3 2014 at our Technical Department. Collaborations in the processes of management of Planned Maintenance (so called Planned Maintenance System) fleet. Project “School-Job Alternation”: Work Experiences conducted in 2013 as part of the Operating, Crew Managements, Navigation Safety departments. Business testimony in 2014 in courses for Deck and Machine Officers. Business testimonials in 2012 at the Master in Logistics. 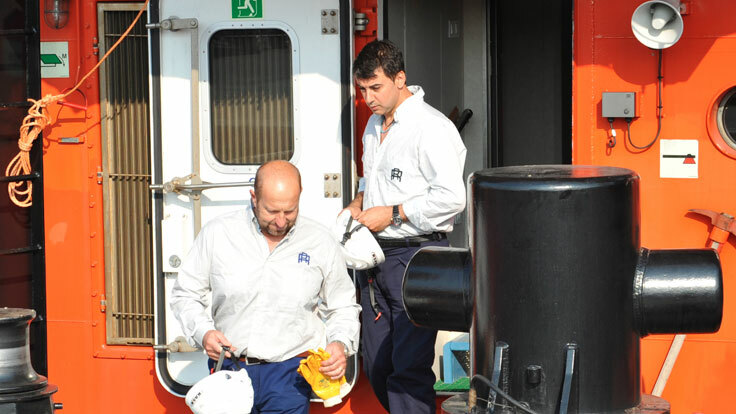 Specialized training courses in the field of maritime.